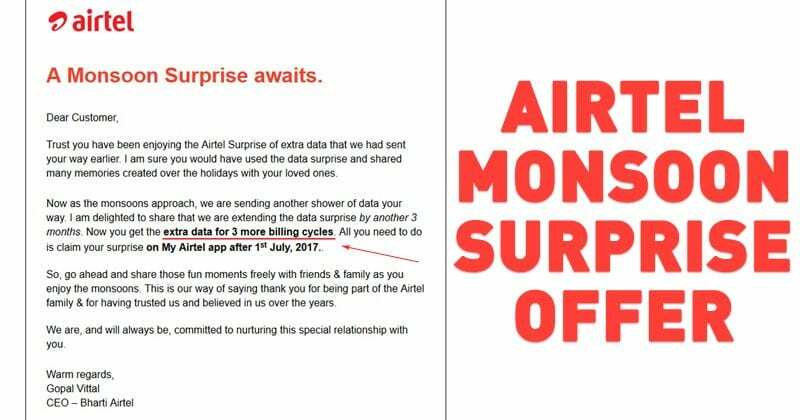 India’s largest telecom company, Airtel has decided to extend its previously announced “Holiday Surprise” offer for the next 3 billing cycle. The company had announced new Monsoon surprise offer. The company is offering 30GB of free data for three months (10Gb every month) for its postpaid subscribers. Recently, India’s largest telecom company, Airtel has decided to extend its previously announced “Holiday Surprise” offer for the next 3 billing cycle. The company had announced new Monsoon surprise offer. Let me tell you the “Holiday Surprise” offer was launched in April 2017, it was set to end in July. Now the company has extended the offer in the form of the new Monsoon Surprise. So, users will get to use another three months until September. 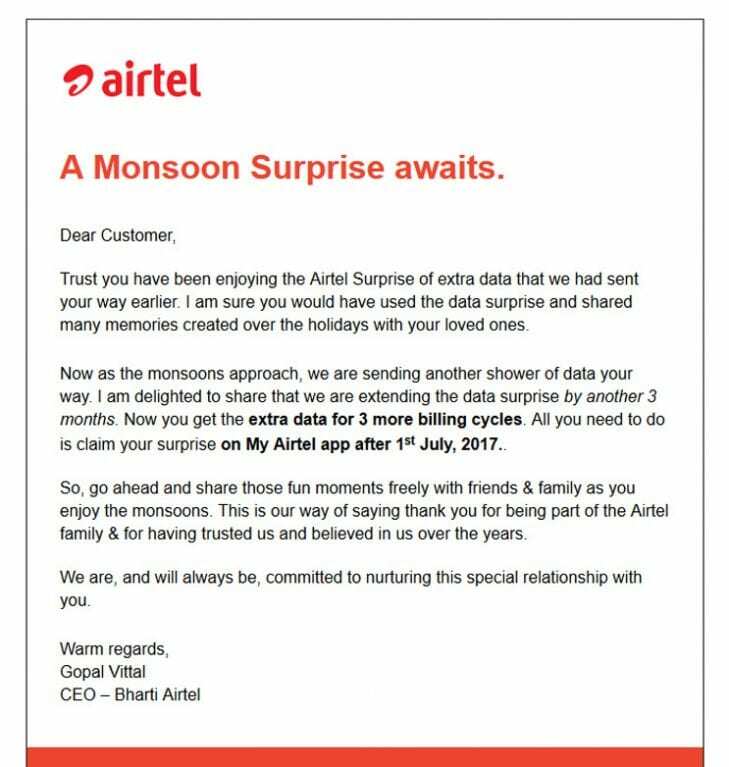 Users need to claim the offer through My Airtel app after July 1. If you don’t have the app you can download it from here. Simply, download and claim the offer to enjoy another three months of free data.